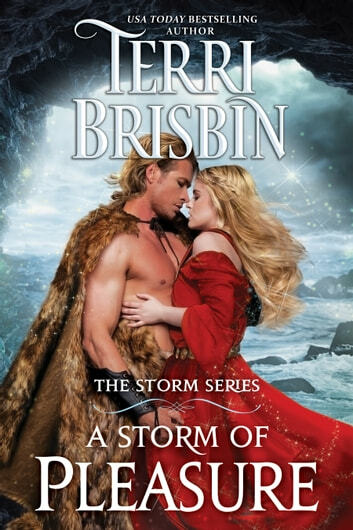 From USA TODAY Bestselling author Terri Brisbin. . . .
Katla Svensdottir will do anything to save her brother from death—even give herself to the man they call the Truthsayer for his pleasure. For, unless Gavin of Orkney reveals her brother’s innocence, he will be executed for treason. And sharing this man’s bed will not be a hardship for her, even if she pays a dear price later. Gavin needs Katla to ease the incessant and maddening noise in his head and he promises her anything to get her to agree to help him—even to help her brother. But, Gavin already knows the boy’s truth and played a part in his arrest and his father’s death. When kings and powerful men fight over Gavin’s extraordinary gift and when the truth will reveal too many dark and dangerous secrets, will Katla be his salvation or his executioner? 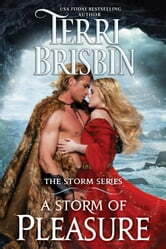 This dark, emotional and steamy fantasy romance series set in medieval Scotland was previously published by Kensington Books in their Brava imprint and is now re-released by the author. You are better off to reread book 1. It repeated every plot point exactly and the writing was choppier almost like the discarded drafts for book 1 were used for this one. And the power was wasted. If you can hear all voices you could hear snipits of conspiracy or distress not on the full moon which could have driven the story. Gavin coud have felt the guilt of the powerlessness of a good man who could do nothing. He had no personality unlike Connor. Finally how could Gavin be Katla's enemy when he didn't cause her any hurt and she is the one to make the situation worse? Katla is smart enough not to shoot the messenger. If I was Sith this would be a fail and human Gavin would be dead.